If you are forced to place your speakers on the long side of a symmetrical, rectangular room, create a Golden rectangle in each rear corner. 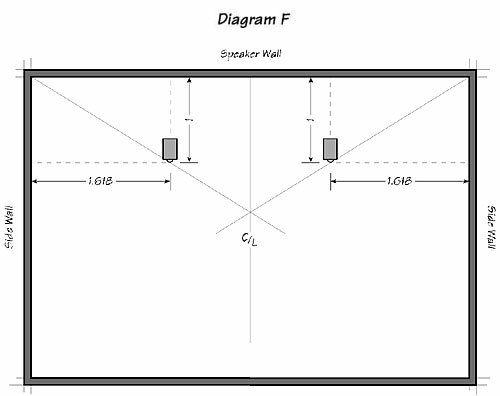 Your speakers can then be placed anywhere along a line extending from the outside rear corner through the inside front corner (Diagram F). 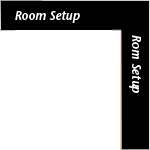 ←Golden Rectangles, 1.618 from the side walls x 1 from the rear wall, create diagonal lines for speaker placement in a horizontal room.